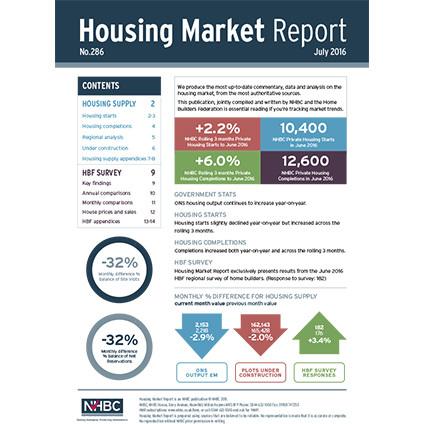 If you need the most up-to-date commentary, data and analysis on housing market trends from the most authoritative sources, the Housing Market Report (HMR) is for you. This monthly online publication, compiled using data exclusively available from NHBC and the Home Builders Federation, is essential reading if you’re tracking housing market trends. The annual subscription consists of 11 online issues; there is no December edition. If you are not registered with NHBC or a member of HBF, click here.